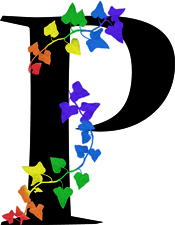 Princeton University will host a conference on campus on April 11-13, 2011 to engage Princeton’s LGBT and ally alumni and to celebrate the contributions they have made to the University and to their communities. To help plan for the conference, focus groups conversations are being held across the country. The Los Angeles focus group dinner will be held on Monday, October 8, from 6:30-9:00PM, at Osteria Mozza located at 6602 Melrose Avenue, and hosted by Julie Anderson ’84, Robert Gleason ’87, and Brian Johnson ‘99. Be our guest for dinner and share your ideas about what would make for an engaging three-day conference. Please RSVP to Lottie Gan at the Office of the Alumni Association by October 1, at [email protected] or (609) 258-9419.